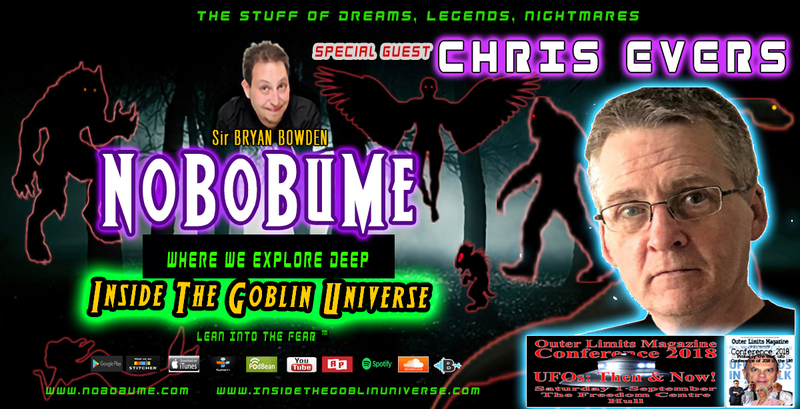 The home of several shows “NoBoBuMe” hosted by Sir Bryan Bowden; and our other shows “Inside The Goblin Universe”, “Side Show Safari”; and “Portals of Perception”. 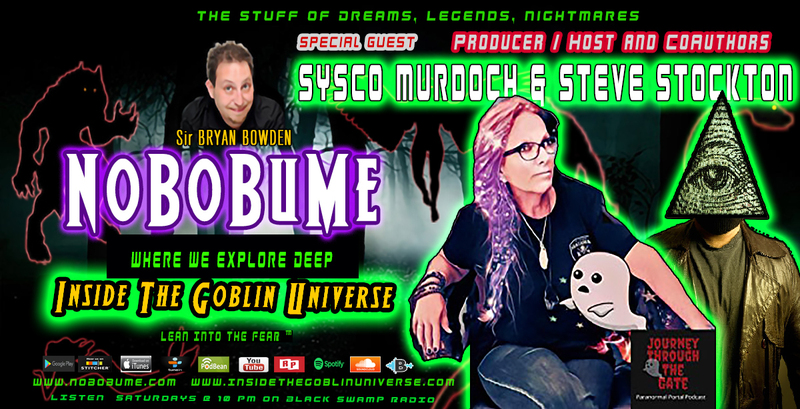 where we explore The Inside The Goblin Universe Hosted by Sir Bryan Bowden and Ronald Murphy. Each addresses fable lands, creatures, cryptids, ideas, concepts, as well as, It focuses on enlightening the listener with very informative and entertaining topics. We have a totally Rocking show on deck for all! 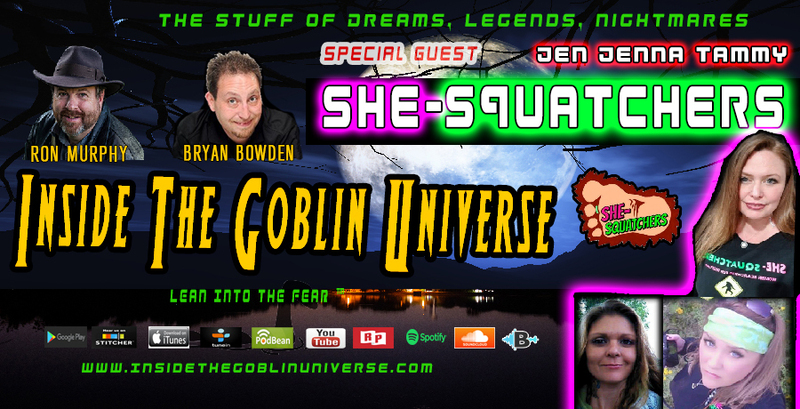 On this episode of Inside The Goblin Universe, we welcome The Ladies of the She-Squatchers - the first All-Female Bigfoot Research team. Jen Jena and Tammy stopped by to discuss their Research and the “Boots on the Ground” investigations. Do not miss this episode! 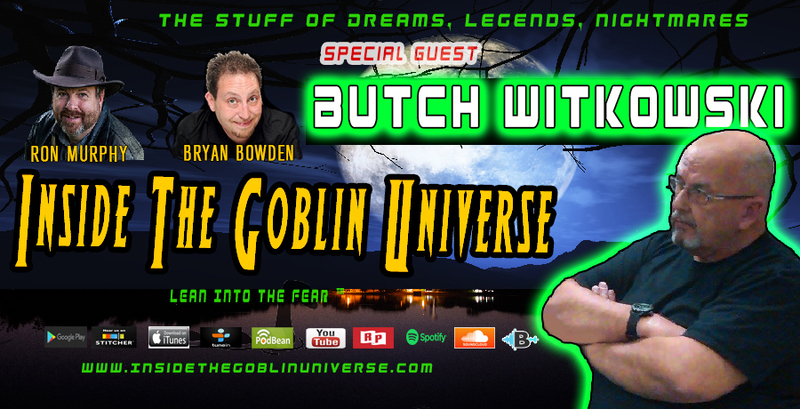 On the Next Inside The Goblin Universe; World-Renowned Researcher / Investigator Butch Witkowski. 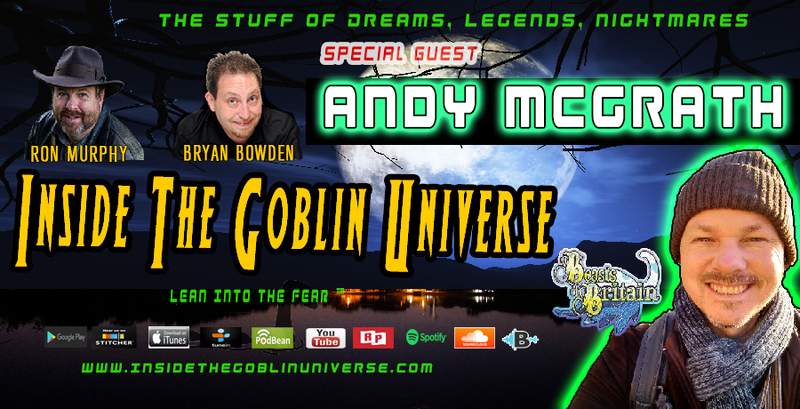 On the Next Inside The Goblin Universe our special guest Andy McGrath, Author of “Beasts of Britain Join Us as we kick Off 2019 by discussing passions for research, mysteries and mayhem. Sysco Murdoch has always been multifaceted in her approach to life. A bartender, a floral designer, Wire Sculptor, Jewelry designer, Craftologist, business owner, Soldier, Empath, Sensitive, & Producer/Host of Journey Through the Gate Paranormal Portal Podcast. None of this taking precedence over being a mom of two sons. These paths have led her through, and to, multiple experiences with the paranormal, supernatural, and the uncanny. She resides near the Jersey Shore, with her dear family, several fur-babies, and at least one ghost. Steve Stockton is a veteran outdoorsman, author and has been investigating the unexplained for over 35 years. Originally from the mountains of East Tennessee, Steve has traveled all over the country and many parts of the world and now makes his home in Portland, Oregon, near the wilds and "bigfoot country" of the Pacific Northwest. Steve cites as his influences his "gypsy witch" grandmother who told him multitudes of legends and stories as a small child, as well as authors such as Frank Edwards, John Keel, Charles Fort, Loren Coleman, Ivan Sanderson, Colin Wilson, and Nick Redfern. His published books include Strange Things in the Woods & More Strange Things in the Woods (collections of true, paranormal encounters) as well as the autobiographical My Strange World, where he talks about his own experiences dating back to childhood. Steve is currently at work on a book of ghost stories and also a book about myths and legends of the Great Smoky Mountains, both expected to be available by Spring 2019. 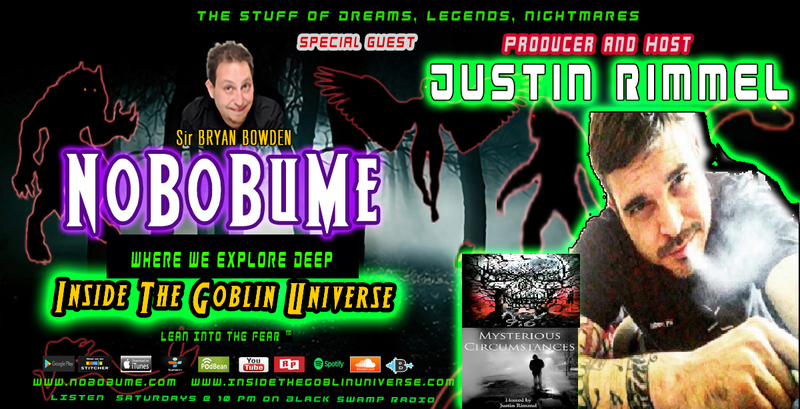 We are exploring deep, Inside The Goblin Universe with NoBoBuMe Sir Bryan and our special guest, JUSTIN RIMMEL, Producer and Host of Mysterious Circumstances and Rev 9:6 Podcasts. Join Us as we kick Off 2019 by discussing passions for research, mysteries and mayhem. We touch on that and Billy the Kid, Jesse and Frank James, conspiracies and more. This Episode is a blast! 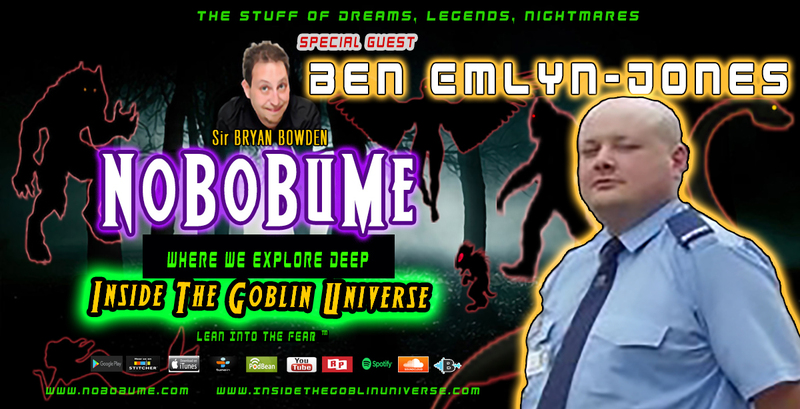 We are exploring deep, Inside The Goblin Universe with NoBoBuMe Sir Bryan and our special guest, ResearcherBen Ellyn-Jones. Join us as we travel deep into the Mad Mad World we live. We are discussing some controversial topics - listener discretion is advised. 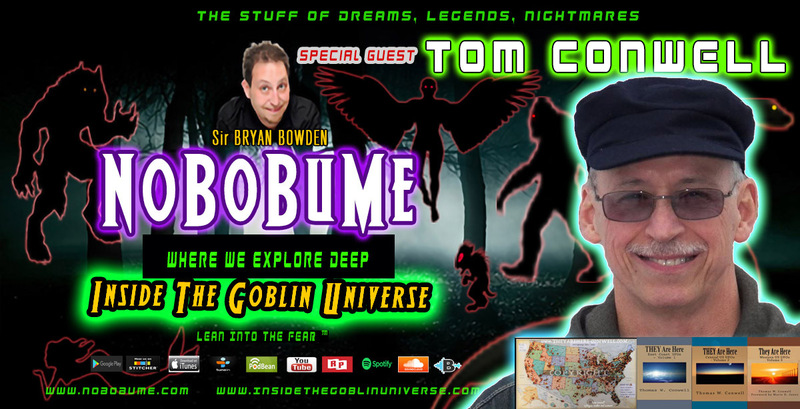 We are exploring deep, Inside The Goblin Universe with NoBoBuMe Sir Bryan and our special guest, noted UFOlogist and Researcher Tom Conwell. 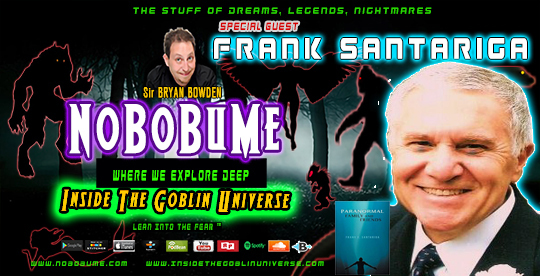 Join us as we discuss his body of work, the “They are Here” book series and his rather extensive and impressive UFO Sightings map. Owner of Black Swamp Radio Network and Host of Swamp Gas, and dive into the Rabbit Hole and he takes us on a journey through the Looking Glass. It's unprecedented access to an Amazingly Talented Man and his world. What is Revealed will blow your mind! *Links, Names, Network, and more may not be valid. Copyright 2017 - 2018 Bryan Bowden All rights reserved.